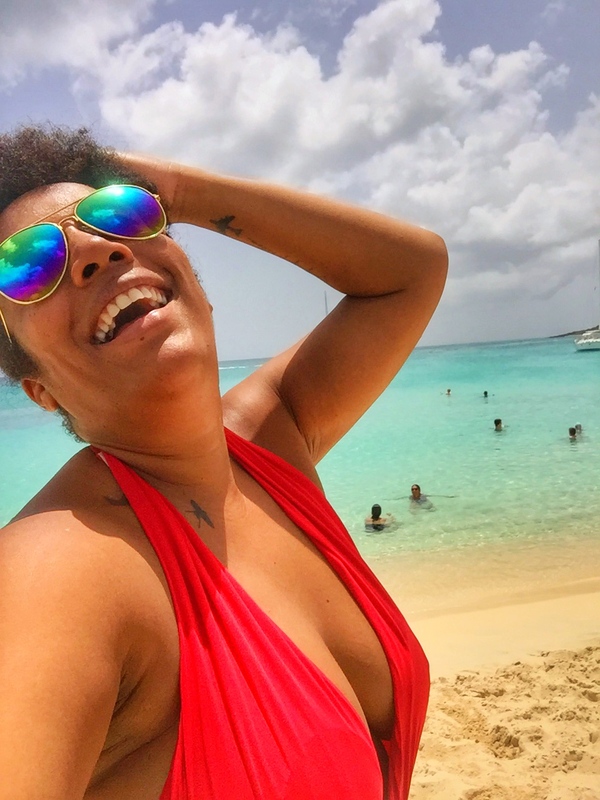 If you’ve read my previous posts on Miami and on my experience flying with PAWA, you know that I got my hands on some rather inexpensive tickets but that it came with a 6 hour layover in Las Americas International Airport in Santo Domingo, the Dominican Republic. In all honsety, I was not ready yet to return to the DR and was adamant that spending the 6 hours at the airport was the best way to go. I downloaded as many episodes of my favorite tv shows as I could, I packed two books as well as a coloring book and I practically already saw myself sitting on the floor at the airport, bag of chips and some drinks next to me, binge-watching shows like Chicago PD and How to get Away with Murder for 6 hours straight. My husband as always had other plans and totally against my wishes booked a driver to take us sightseeing in the DR. When he first brought up this plan, I screamed, begged, cried for him to please leave me at the airport. No way was I gonna miss the flight to Miami and get stuck in the DR, a place I have mixed feelings about since my last visit in August last year. I did the ugly cry, stamped my foot, threatened to divorce him. Still he went ahead and made arrangements to have us picked up and taken somewhere, anywhere, as long as we didn’t have to sit at an airport for 6 hours. So, on T-day (travel day) a delighted husband and a happy mother-in-law walked into the arrival hall at SDQ, me tagging behind, long face and sulking. We were met by our driver who explained that he had another gig but would drop us off at a nice restaurant in nearby Boca Chica and would pick us up about 3 hours later. My heart stopped. What if he never came back? What if we got stuck in Boca Chica of all places? Flashback to August of last year when my brother and his partner drove us to Boca Chica for what we all thought would be a nice scenic tour and perfect beach day. It wasn’t. The Boca Chica I remember was seedy. Now, what you need to know is that my brother dislikes anything that has a hint of chicness or luxury. He is the kind of person who would sleep in hammocks on the beach or rent a room by the hour if it would give him a more “real’ experience of the place he was visiting. My mom and I could not be any more different. I swear, it surprises me how in the name of everything holy we are possibly related. Each time we would pass a place that looked nice, he would speed up and take us to the next “real” place he could find, which were often places that were a bit dodgy and felt unsafe. Our driver took a different route through Boca Chica than I remembered and stopped at what looked like a decent enough restaurant called Neptunos. I was happily surprised when I realized that Neptunos was more of a beach club than just a restaurant. It was beautifully decorated with hanging chandeliers made out of shells, tinkling in the ocean breeze, a view to die for and steps that guided you into the blue water below. The snob in me approved. Neptunos was definitely a place I could hang out at. “Un Presidente por favor”, I heard myself saying as soon as I sat down and the waiter came over. What better way to truly appreciate this setting than with an ice cold local beer? Our flight into Santo Domingo was an early morning one and although the restaurant was open at that early hour, the kitchen was not. The friendly staff went out of their way to still serve us something to eat and the food did not disappoint. When the driver came back two and a half hours later, we did not want to leave. But Miami was calling. As much as I loved Neptunos, I wasn’t about to miss Wynwood because of it. Once at the airport we still had an hour and a half to kill. My mother-in-law and I may not have always seen eye to eye but her idea to go to the airport spa and get a quick pedicure and back rub was genius. When boarding time came around we were ready and floated to the gate on our pretty colored little toes and relaxed AF. Now, I realize not everyone is able or willing to spend money on a layover but in all honestly the whole experience did not set us back by that much and it was totally worth it. I never thought I would say these words but my husband was right. How can I call myself a travel blogger and adventure seeker if I never try new things? We ended up having the best layover ever and even wished we could have enjoyed the DR for a bit longer. I am now even planning a return trip for a do-over and this time I’m doing it my way. What great layover tips do you have to share?